We don’t monkey around. Everyone who knows us, know we do things original and right. Today, we announce one of the biggest and boldest Food Adventure dinners yet…. and it just happens to be at one of our favorite spots. 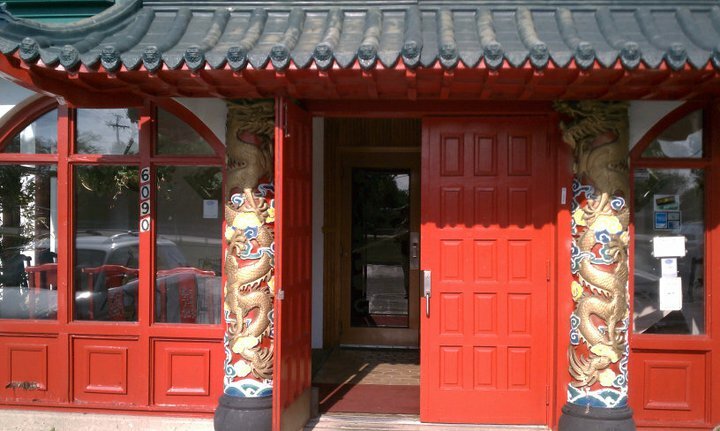 North China Restaurant in Centerville will host the “Year of the Monkey” Celebration dinner, with 10 courses of food ! 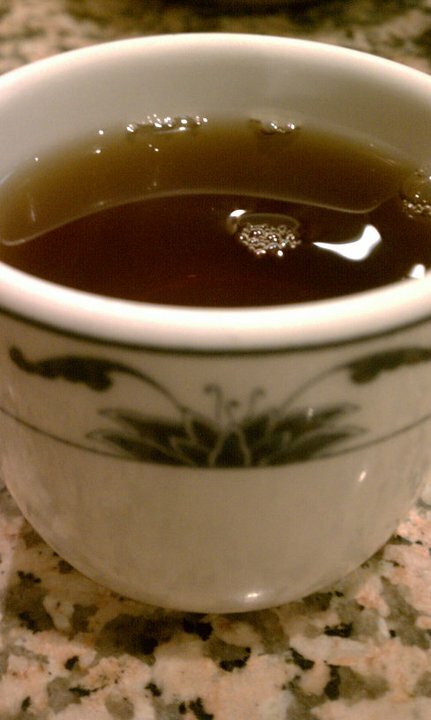 Since 1987, North China Restaurant has been pleasing Dayton area foodies, with tastes of Mandarin and Szechuan cuisine. May 19th they team up with our crew for an epic eating extravaganza! From appetizers to entrees, this “Year of the Monkey Dinner” promises to be a throwback to 80’s Chinese American restaurants, with a touch of family style dining. 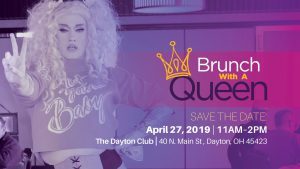 Tickets are PRE-PAY only and can only be bought online at this link —> CLICK HERE. 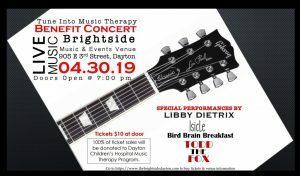 There is limited seating, so get your tickets before we sell out. 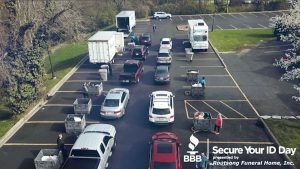 — WHERE: 6090 Far Hills Ave, Centerville, OH 45459, next to Woodbourne Library. 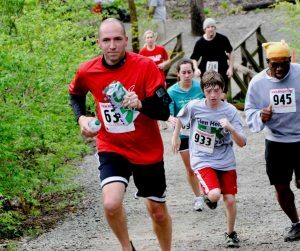 — WHY: Celebrating “The Year of the Monkey” … and a chance to eat some good food! — COST $29 per person & includes tip. Water and Hot Tea included. 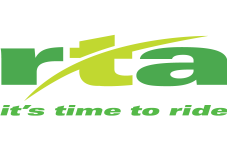 Alcohol and Soft Drinks, additional cost. How are your chopstick skills? It doesn’t matter, because you will get forks and spoons too… so get ready here are the 10 courses of MUST EATS during the Year of the Monkey ! 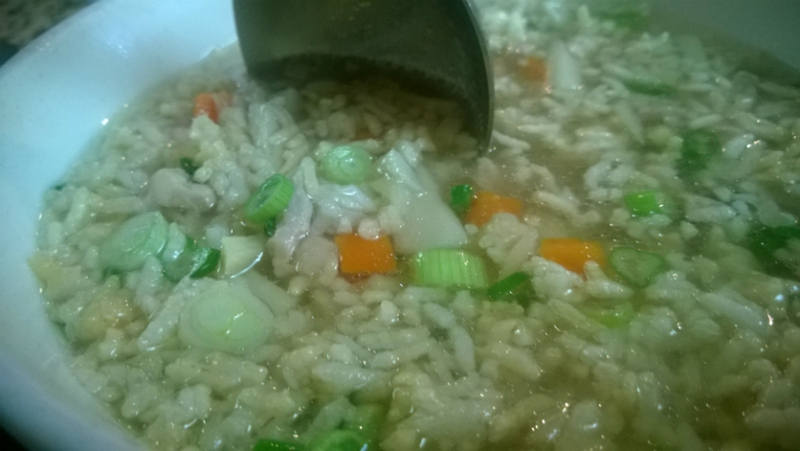 1) SIZZLING RICE SOUP: A light brothed soup with vegetables, rice and chicken. A perfect start to awaken your taste buds and senses. 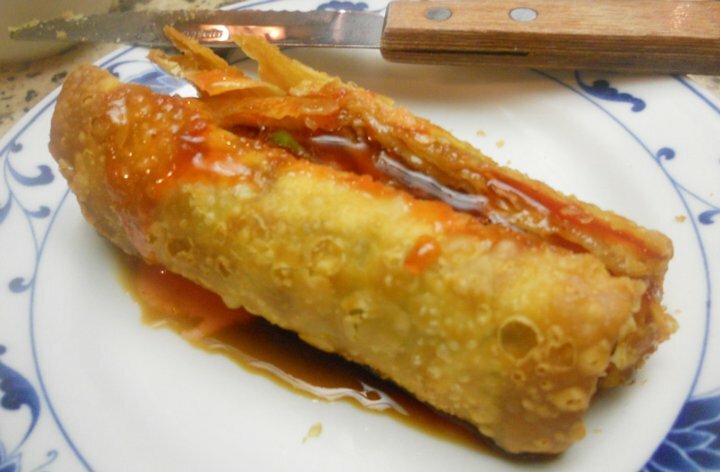 2) EGG ROLL: The best in Dayton, bar none. Handmade, hand rolled, and stuffed with pork, cabbage and a touch of peanut dust. 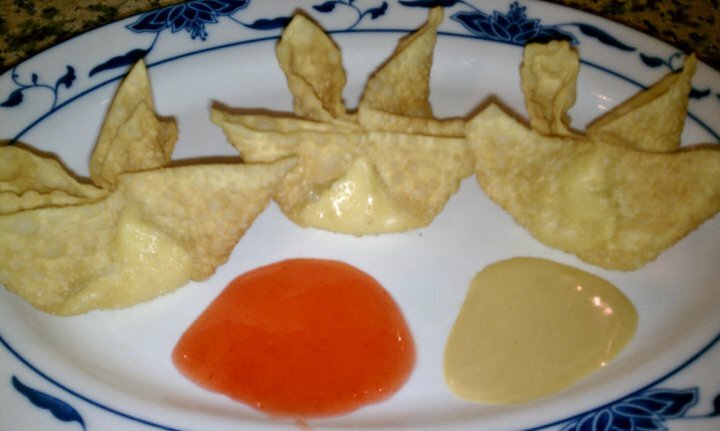 3) CRAB RANGOON: Handmade, on site, this cheesey goodness should be dipped in sweet and sour sauce with a dash of soy sauce. 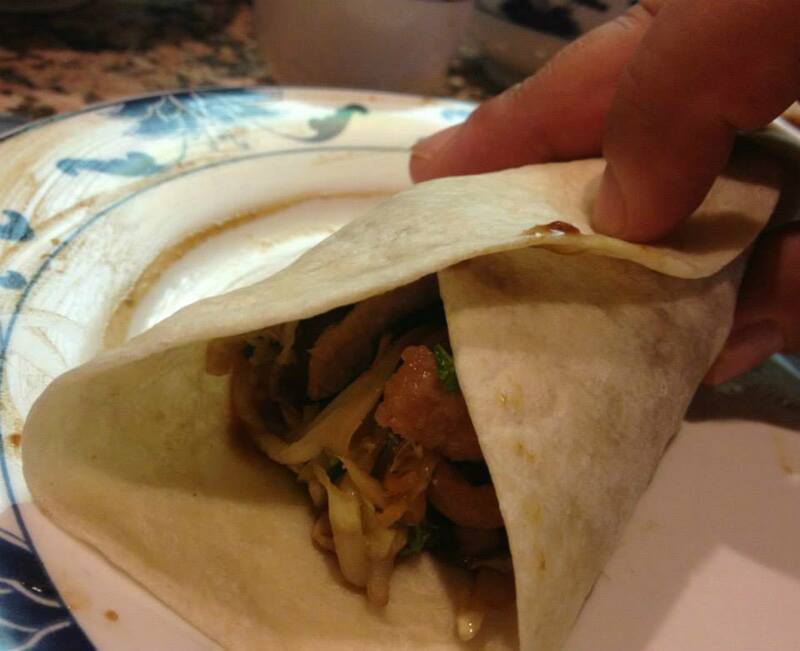 5) MU SHU PORK: A wrapped “Chinese burrito,” The wrapper is rubbed with a plum and hoisin sauce, and pork and vegetables are added, and the “tortilla” is gently wrapped and served. One of the most special delicacy attractions at North China. 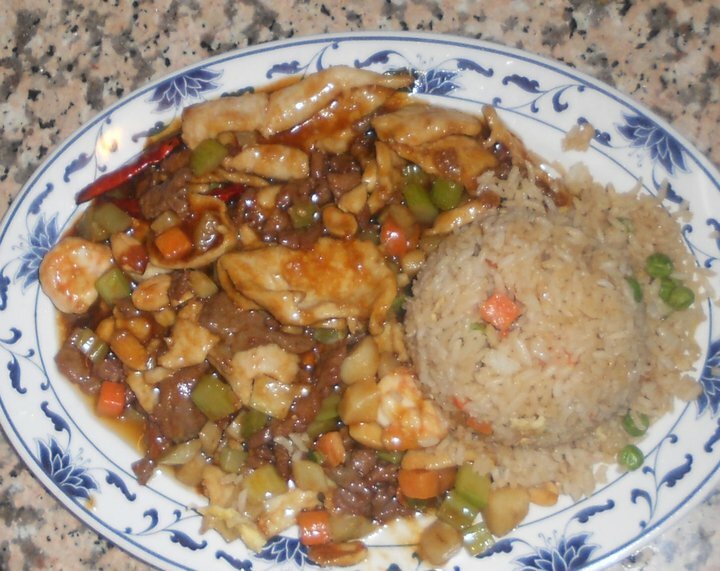 6) MONGOLIAN CHICKEN ENTREE: North China’s best selling dish. Prepare to become addicted. 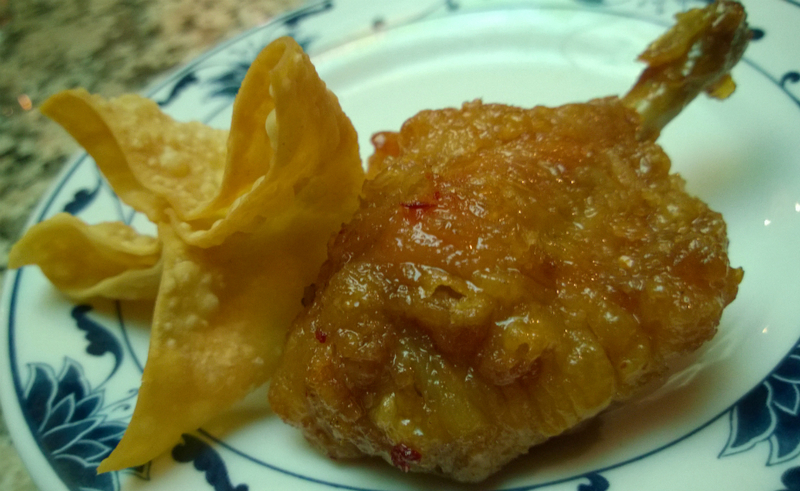 7) CRISPY SHRIMP ENTREE: Deep Fried Shrimp, in a sweet and spicy, yellowish, brown sauce. 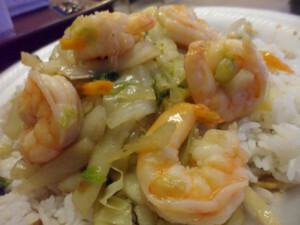 10) SHRIMP WITH VEGETABLE ENTREE: A lighter dish, served with broccoli, snow peas, water chestnuts and bamboo shoots. Entrees will be served with STEAMED WHITE RICE and shared family style. Chef House, Hungry Jax and The Big Ragu will be passing out door prizes, t-shirts, gift certificates and more. Please join us for this epic Food Adventure celebrating “The Year of the Monkey” at North China Restaurant. 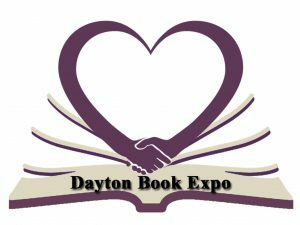 Join the 6,200 Foodies in the Dayton area following Food Adventures on Facebook, “like” us HERE. 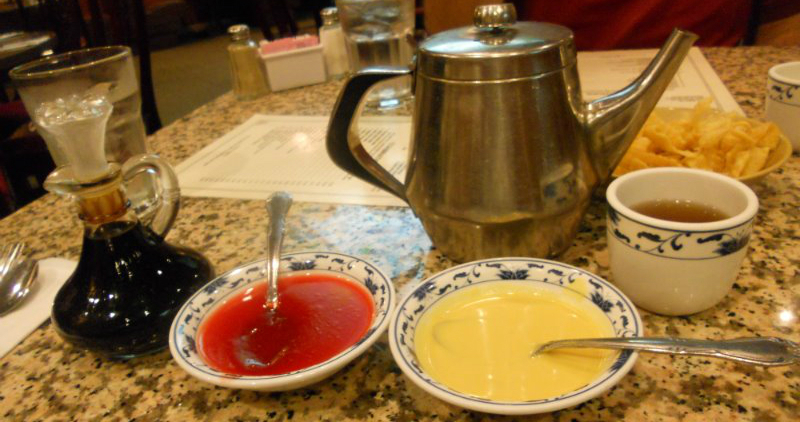 Soy, Sweet N Sour, Hot Mustard, & Tea – your accessories! Pot Sticker.. pot steeeeka ! The best deserves a second mention. 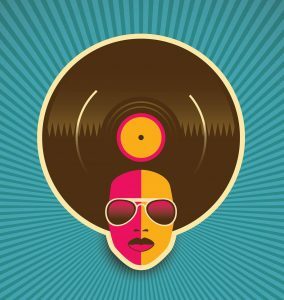 Our feature article spinoffs, called “A second helping of “ are made for such occasions. 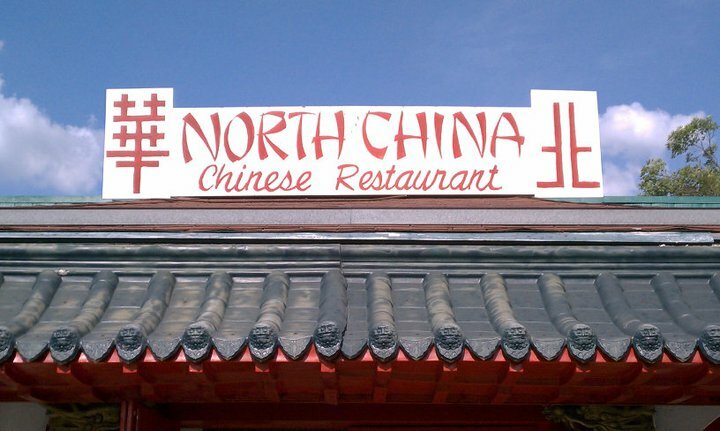 You may recall our article over 3 years ago where Food Adventures proclaimed to the world that “North China Restaurant has the best damn egg rolls ever!” We decided North China is worthy of our “Second Helping” feature. So hop on on our Food Adventure and grab some chopsticks, as we break through the Great Wall. 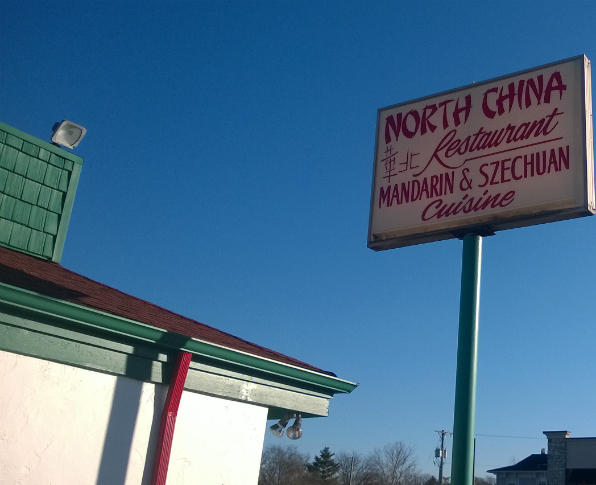 Let’s dive into a second helping of one of our favorite places in the Miami Valley, NORTH CHINA ! — Things have not changed a at North China a bit since our 2011 article, and that’s how we like it. We have visited North China dozens of times since the last article. Whether carryout or dine-in, we are never disappointed. The food quality is still amazing and so is the consistency. — The service remains top notch. Your water glass is never empty, and you will never have that “where is our server” look on your face. 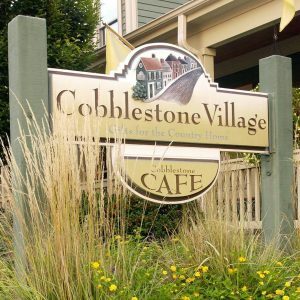 — This Centerville eatery is closed every Monday. Also, every year during July, they take a family vacation and close the restaurant for about 10 days. — Family owned for almost 30 years, you get to know the family when you come here. 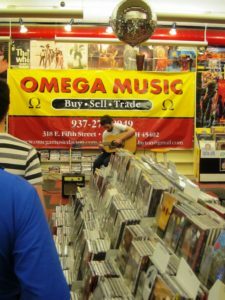 They are friendly and the place is full of regulars who have been visiting for decades. 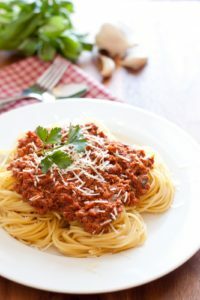 The Big Ragu happens to be one of those regulars, and we have eaten almost every item on their extensive menu since 1987. So now, it is time to list the one-of-a-kind, earth shattering, ground breaking… MUST EATS for North China ! 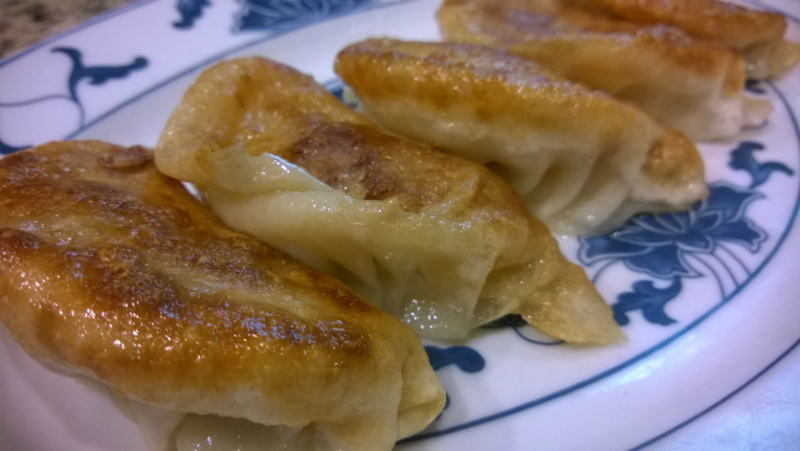 — MU-SHU PORK: Like little crepes from the heavens. These delicacies are made table side and are the Chinese version of burritos. First, the tortilla like wrapper is primed with a plum sauce. Then, a stirfry mix of pork, cabbage and veggies are loaded and wrapped. Be careful eating these. The burrito wrapper can also double as a water slide, shooting soy sauce and goodness down your shirt. Big Ragu has a closet full of stained shirts that have been”touched” by his North China Mu-Shu Pork adventures. — ZHA JIANG MIAN: Say what? We just call this #7 on the Korean Menu. 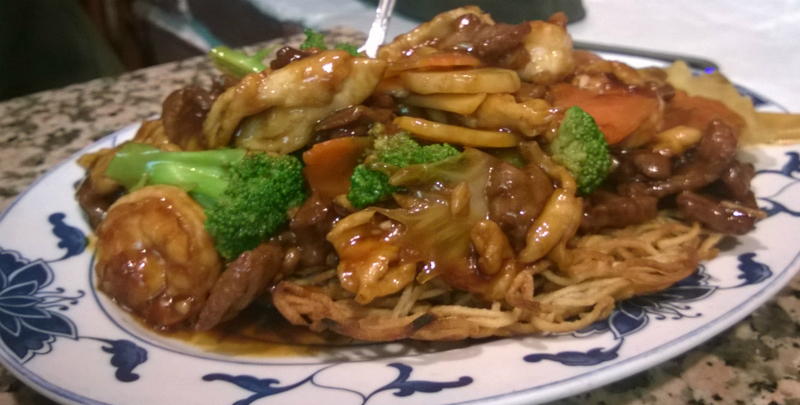 It is “lo mein” type noodles served with a sauce of black bean paste and stir fried pork. This is a special dish that you must ask for. One of the “secret tips” at North China is that they have a Korean Menu by request only. In the mood for an exotic and authentic Food Adventure? Get the Zha Jiang Mian, but make sure you ask them for hot sauce and the dry hot pepper too. Being authentic, it is a little bland but a couple of spoonfuls of hot sauce brings this dish alive ! — THE EGG ROLLS: Handmade, freshly made, every day. The killer ingredient is the peanut dust or peanut paste used in these egg rolls. 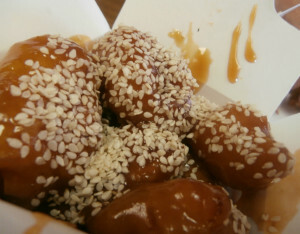 Dip them in a mixture of soy sauce and sweet and sour, or mustard sauce. The Big Ragu has such a strong addiction to these that we have written letters to Dr. Phil about it. 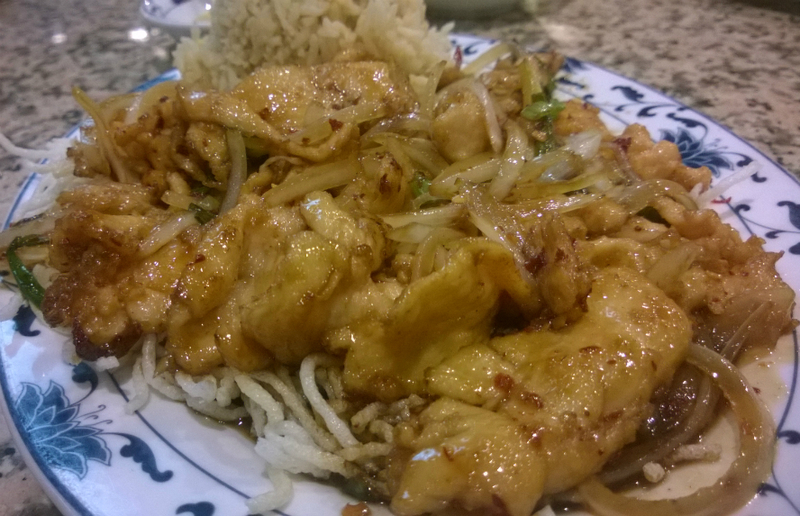 The Mongolian Chicken is beyond amazing. 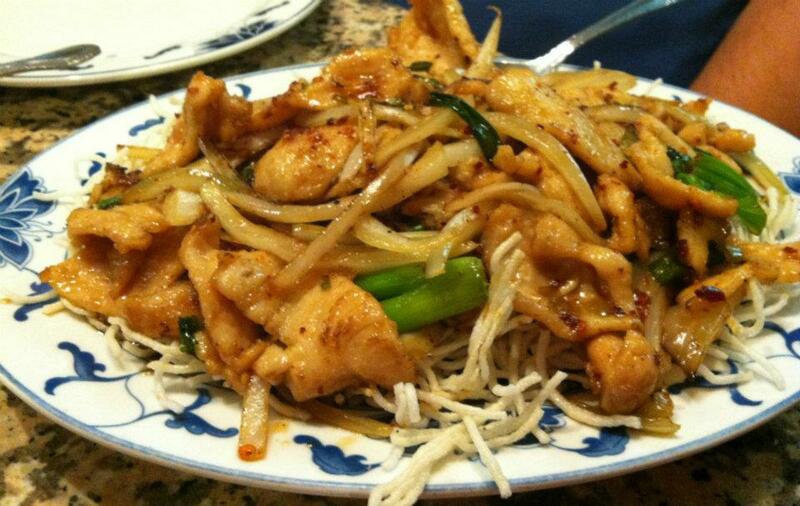 — MONGOLIAN CHICKEN: A honey-like glaze sauce on shavings of white meat chicken, over a bed of crispy noodles. You can ask for it “spicy” like the Big Ragu does. It is a perfect mixture of sweet and heat. 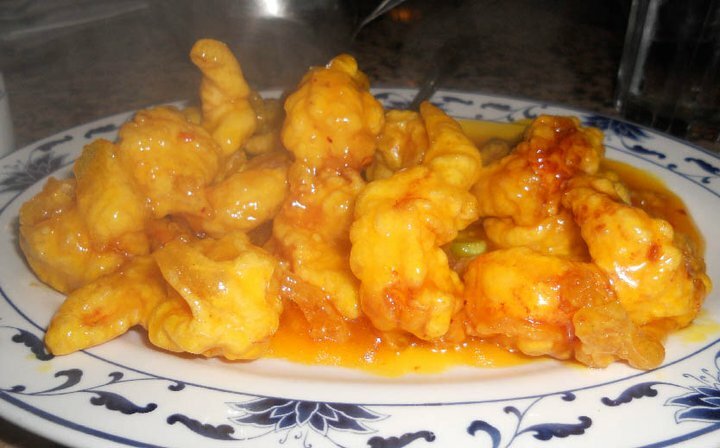 — ORANGE BEEF: Lightly fried strips of beef that curl when cooked. This mouth watering dish is made with fresh orange peels, and a homemade brown sauce. The incredible taste of this entree, makes it a favorite. — CRISPY SHRIMP: A deep fried dish that Big Ragu dreams about every other night. This sweet concoction has a sauce with a yellow tint, and a tiny hot pepper kick. If you wanna play naughty, get this offering over some white rice and go downtown to China Town. 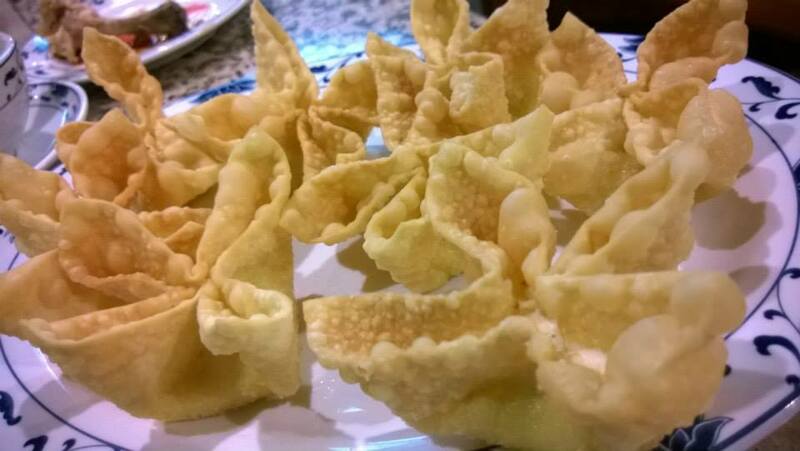 — CRAB RANGOONS or CRAB ANGLE: Hand made every day by the owners. If you order them, you will be fighting over the last one. Chicken Wings – Those damn chicken wings they serve you at lunch are so deliciously sticky, but you only get one served with a small crab rangoon. Don’t fear friends, you can actually order a plate of these tremendous, sweet wings. Or you just be a pain in the azz and ask for two wings and no crab rangoon with your lunch. 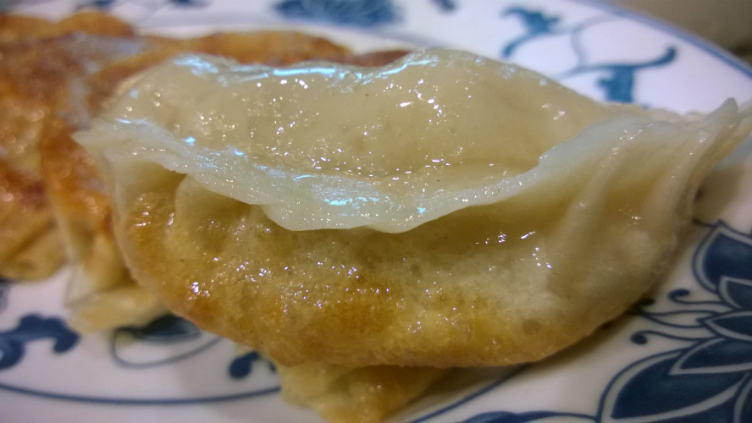 Pot Stickers – Yet another incredible appetizer from scratch. They are steamed, then pan fried for that brown crisp edge. The special soy sauce served with them is the secret to bringing out the pork flavor. House Noodle Soup – We have been enjoying this masterpiece since the late 1980’s. It is a huge portion at a cheap cost. 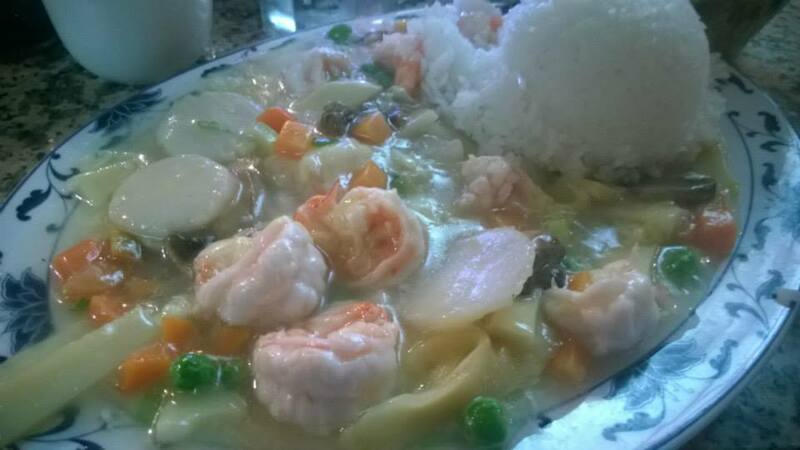 The big soup bowl is filled with noodles, shrimp, beef, scallops and a few veggies. Such a large serving that The Big Ragu always takes about half of it home. We suggest you get the “spicy” version, but you have to ask for it. 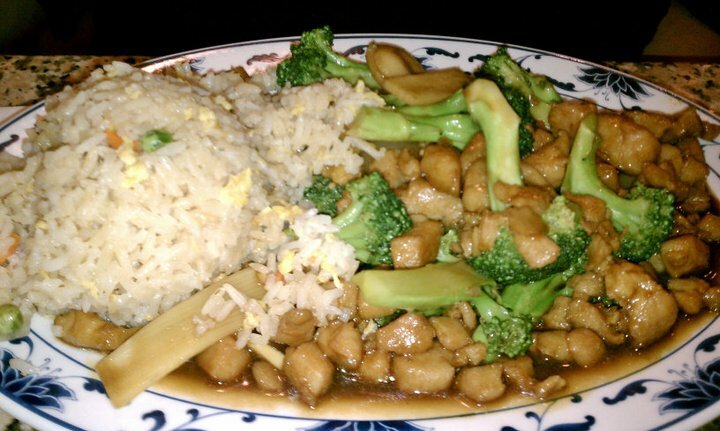 Szechuan Chicken or Shrimp – The best in Dayton, hands down. Deep fried and a comforting mix of hot and sweet tastes. 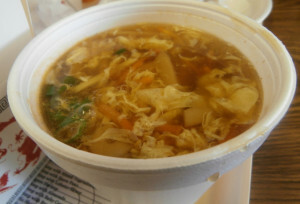 Sizzling Rice Soup – The only kind like it in Dayton. Been serving it since 1987. Chicken, broth, light veggies and rice. Makes you feel warm inside. As our fans know, we don’t go to a place, get a couple of entrees and an appetizer, then write an article. No, no, no.. we are different, we are Food Adventurers. That means we visit a restaurant many times, different days, different times and eat practically everything on the menu before it becomes a feature story on Dayton Most Metro. That’s what’s needed to get a feel for a restaurant. That’s the difference when you are reading Food Adventures. No drive-by visits or shared photo from a restaurant’s Facebook page. 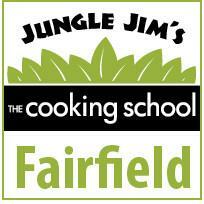 Fanatical foodies appreciate the little known secrets and the inside scoop. We do things you won’t see anywhere else: original stories, original events, and original ideas. No stock photos here. This philosophy isn’t something we ripped off or started yesterday. We have been doing this since 2008. Food Adventures isn’t our job, it is our hobby and passion, so there is no agenda. We can be honest about what restaurants we love without worrying about advertising or if they belong to a local club. 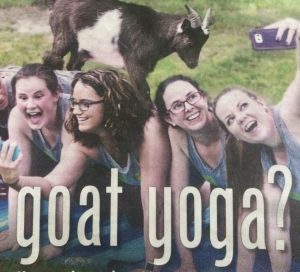 We are independent and free to write about whatever foodstuffs we want. That being said, please LIKE US ON FACEBOOK if you haven’t already ! Also, check out our photo gallery below of all things good at NORTH CHINA restaurant in Centerville.